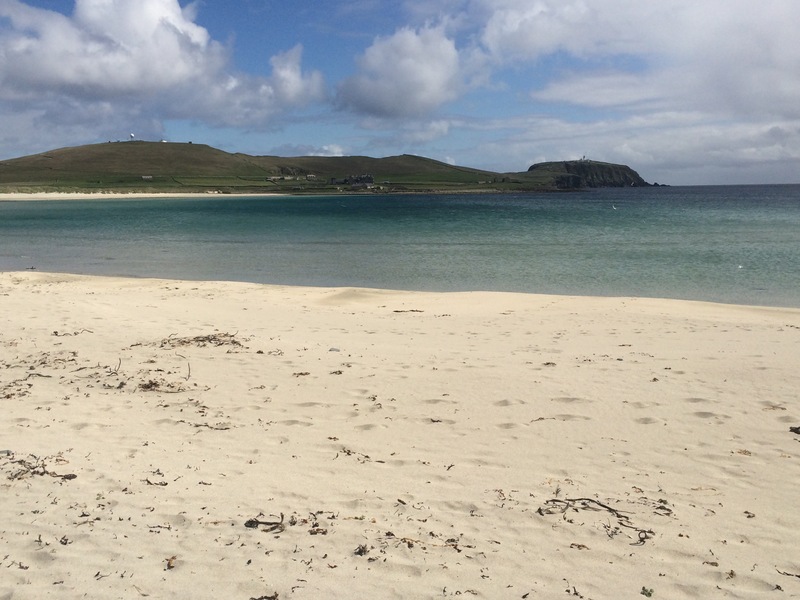 What a wonderful week in Shetland. It began with the overnight ferry from Aberdeen and I lay down with my eyes closed for 14 hours as the weather was bad and the sea rough. The tactic worked as I did get some sleep and I wasn’t sick. Glad to arrive. 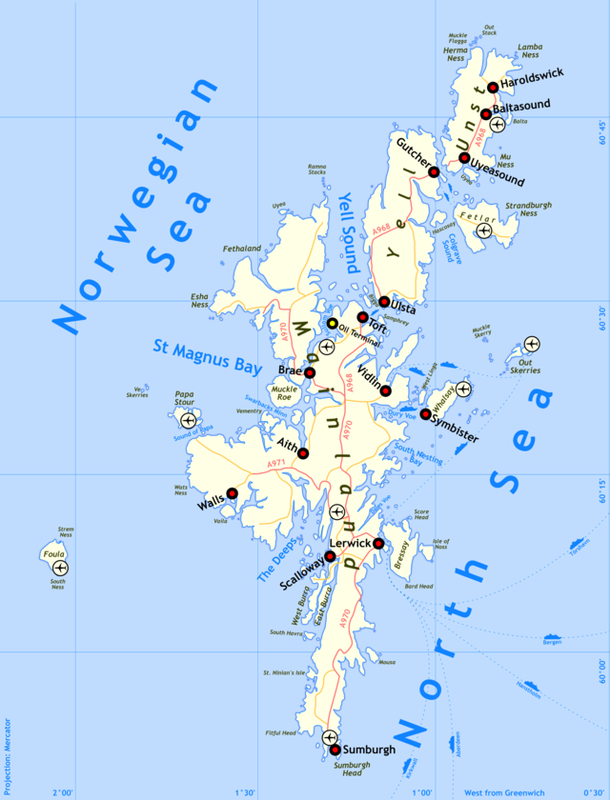 If you include all the tiny islands with no inhabitants, there are over 100 Shetland Islands (enough reason not to walk around Shetland!). 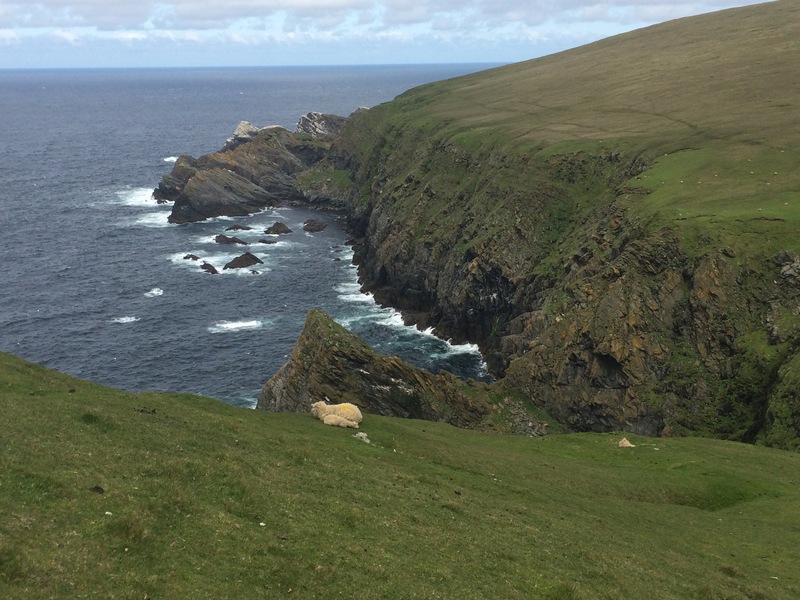 I visited 6 on my trip: Mainland, Yell, Unst, Bressler, Noss and Mousa. 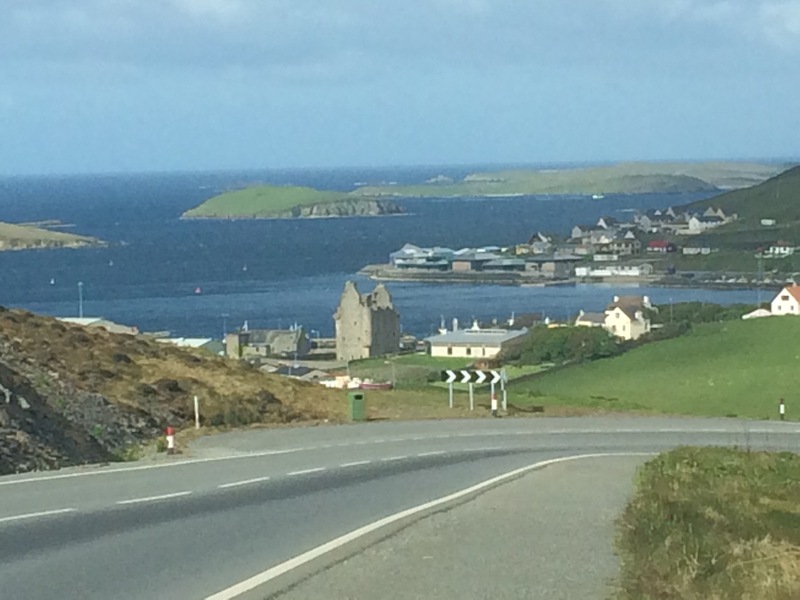 Shetland reminded me of the Falklands a bit; barren and treeless moorland, small communities, hilly, water everywhere and fantastic views. I didn’t have the best summer weather (I wore all of my clothes all week) but it didn’t matter. Although it was occasionally annoying to hear on the radio that the rest of Britain seemed to be in the grip of a heatwave. Oh well, they didn’t have sea otters! 1. 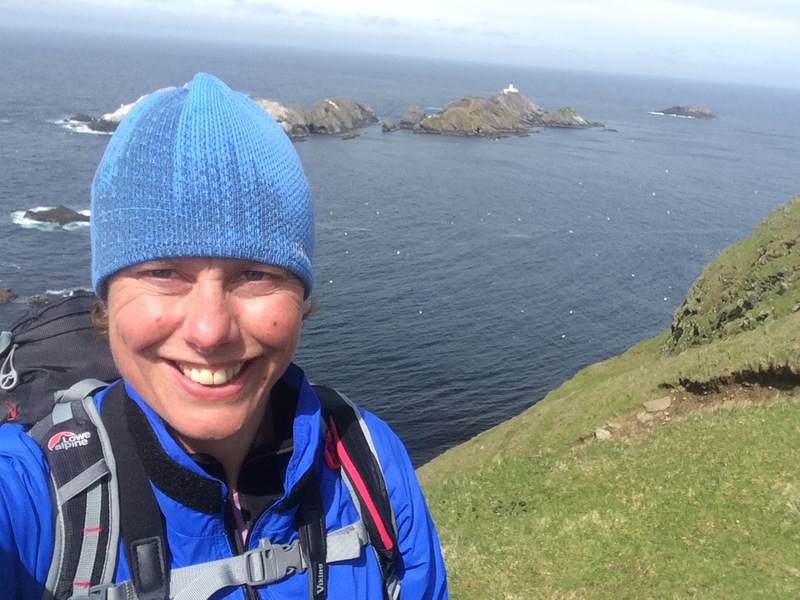 Visiting the most Northerly point of the the British Isles, Muckle Flugga and Out Stack. I made to the far North of Britain, awesome! 2. 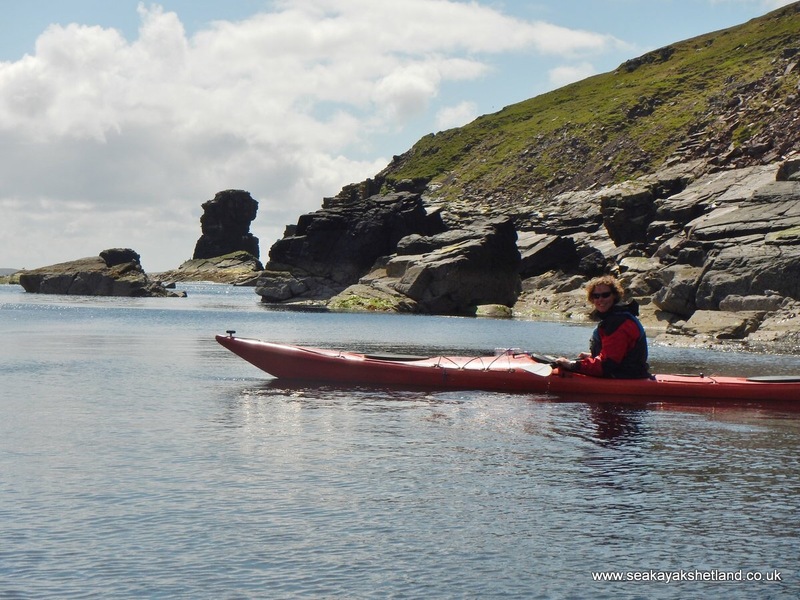 Sea kayaking down the Mainland coast on the only sunny day. The sea is so clear and the wildlife abundant. We saw 3 otters and plenty of seals were in attendance. 3. 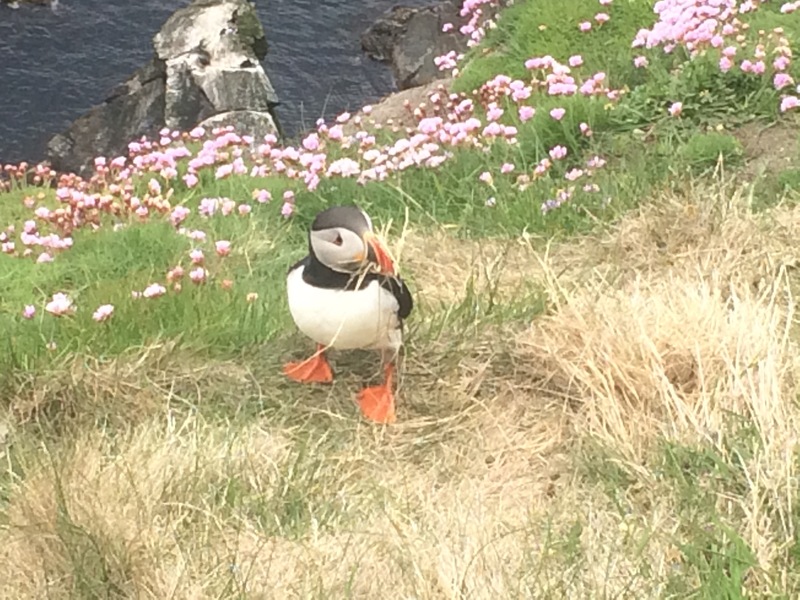 So much wildlife to see, including: seals, otters, gannets, bonxies (great skuas), arctic skuas, black-backed gulls, herring gulls, arctic terns, curlews, shags, cormorants, fulmars, kittiwakes, rock pipits, ringed plovers, sandpipers, storm petrels and, of course, puffins and oyster catchers. 4. St Ninian’s tombolo beach is possibly the most beautiful beach I’ve ever seen. Just fantastic. I went for a swim here in the freezing cold Atlantic Ocean. 5. 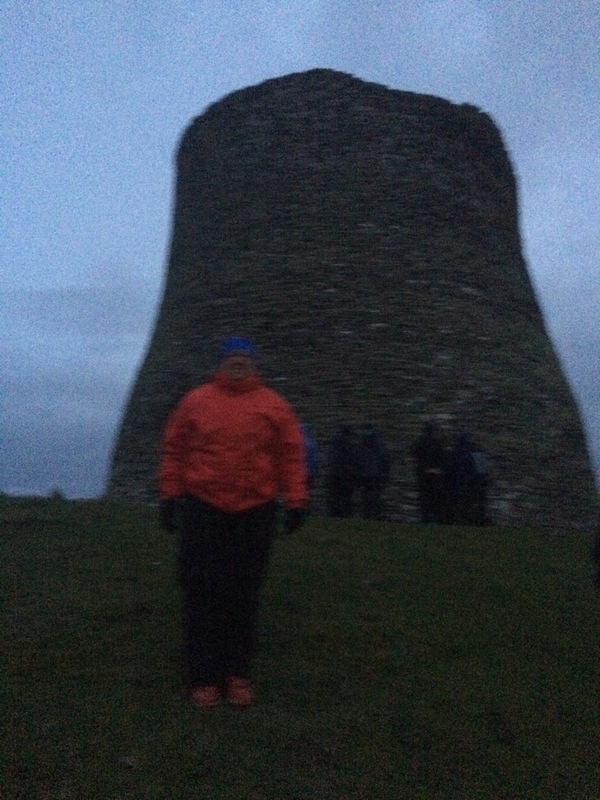 Taking a late night boat across to the small island of Mousa to visit the best preserved Broch on Shetland (an ancient building probably built by Vikings but no-one knows what it was used for) to watch the storm petrels returning from feeding at sea. This is a nightly occurrence at dusk (about midnight in June). They nest in the cracks between the Broch’s stones and they swoop all around as you stand there; pretty amazing to watch and hear. 6. The views. Everywhere there were views of the sea and dramatic coastline. 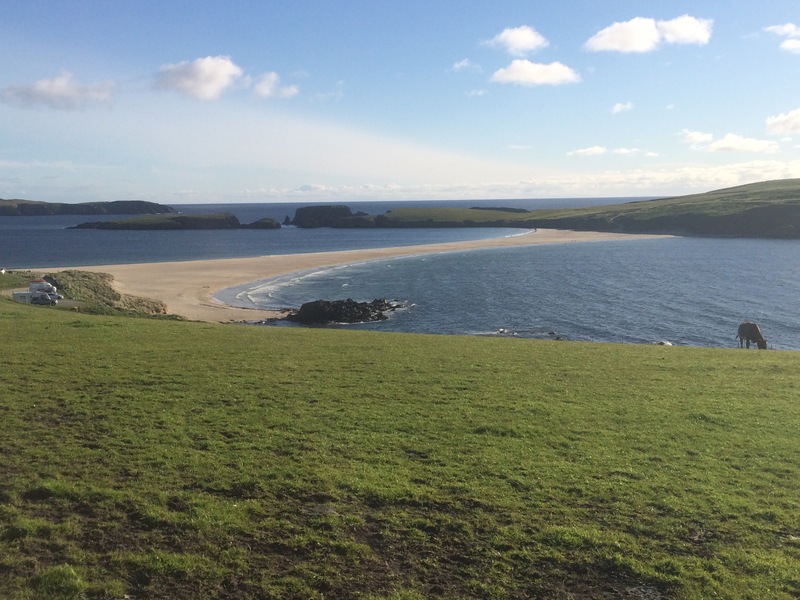 By the end of the week I felt like I’d seen quite a bit of Shetland and it is a wonderful place. The people are really friendly too and I even went to a Sunday afternoon tea in Cunningsburgh Village Hall. I think the village hall must be the heart of the community because there weren’t really any pubs, nor were there many cafes (and those there were weren’t always very good, like the one that consisted of a microwave and instant coffee in the entrance to the community shop). At times it felt like the tourist trade was 20 years behind the rest of Britain as places were highlighted in brochures but then were difficult to find and nothing made of them. A quirky place.